​TECHNOIR "Bubbles", produced by the Sound Activist, was chosen by RedBull Music as one of 2017's best 50 songs. ​TECHNOIR featured on Real Time Tv Online as one of the best new italian bands. 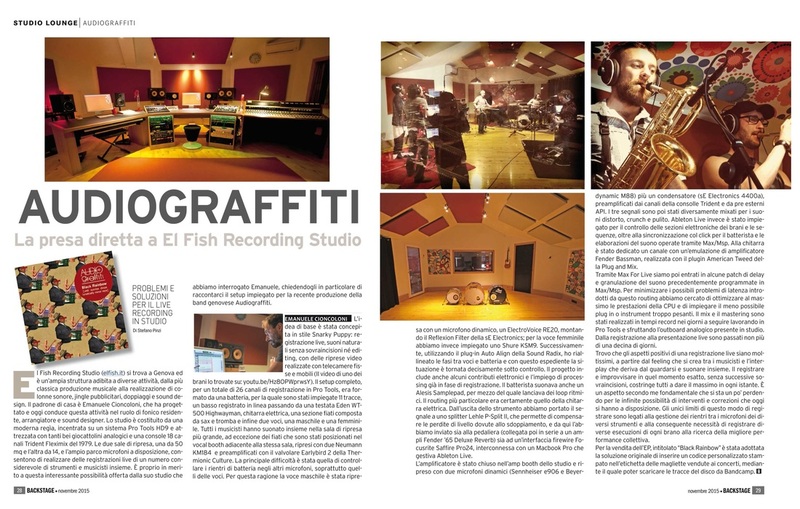 Article on the recording of AUDIOgraffiti Black Rainbow, appeared on Backstage Magazine Nov 2015.